(AP) RICHMOND, Va. - The Museum of the Confederacy in Virginia is hoping to identify two little girls whose photographic images were found amid crumpled bodies on Civil War battlefields. Each is posed primly on chairs, ringlets cascading past the rouged cheeks of one, the other dressed in a frilly hoop dress. One photograph was found between two dead soldiers, the other in a soldier's haversack. No one knows their identities nor the stories they might tell. 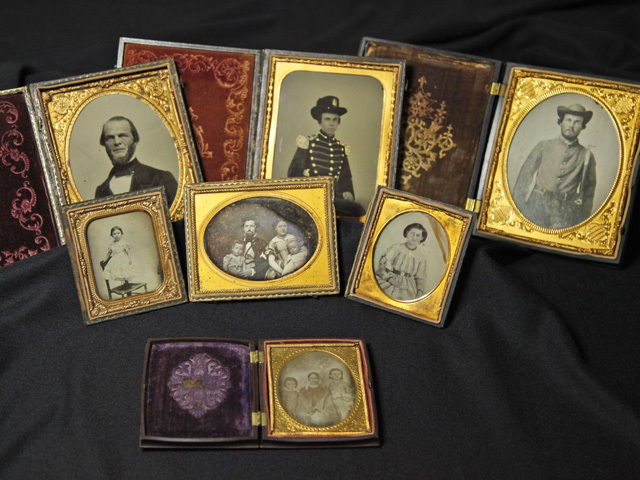 The Richmond museum is releasing the images of the two girls and six other photographs that were found on Civil War battlefields or passed on before battle. All of the subjects remain unknown. The museum is releasing the photos in a long-shot bid that someone might recognize a familial resemblance or make a connection to the battlefield where they were found.